I help and support you to reconnect to your true essence and lead you to become a more conscious, purpose driven being! Gaining Emotional, Mental, Physical & Spiritual Empowerment. Hi Melinda, I would like to speak with you briefly to see if you're a good fit to coach me. Please contact me at your earliest convenience. Have you ever wondered what your life would be like if you were to live as your most confident, abundant and empowered self? Melinda helps you reconnect to your true essence and lead you to become a more conscious, purpose driven being! Gaining Emotional, Mental, Physical & Spiritual Empowerment. For the last 6 years Melinda has immersed herself and invested tens of thousands of dollars into her own personal development and spiritual growth with different mentors, coaches, teachers & schools. Melinda has been fully committed to peeling back the layers of her soul and releasing emotional wounds, karmic stories, blocks and self sabotage tendencies with permanent results. This has allowed her true purpose to be reveled and to step into that role. Melinda is a certified Law of Attraction Life Coach, a Registered Ashati Teacher with the Ashati Institute and a member of the Energy Therapies Association. 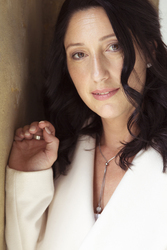 Melinda has a degree in counselling and has extensive experience in energy work, rebirthing and is an author of "How to Transcend your Inner Shadow - The pathway to greater expansion". Melinda also has 12 years experience in owning and operating businesses and has been awarded in an industry specific area the winner for her category. Melinda's purpose is to inspire & support those who are seeking resolution to heal themselves of old stories, emotional wounds, old patterning, soul wounding and more, support them to come back into balance and step into their divine calling with as much ease and grace as possible. All this is achieved using an integrated approach through Law of Attraction Coaching, Counselling, energy healing and a number of other modalities she has studied over the years. Melinda's approach is very holistic in nature and ensures all the main areas of your life are considered. Melinda offers 90min one to one sessions that includes energy healing and offers a 20min FREE Heart to Heart Call to explore how a 1-1 healing session is right for you. Have you worked with Melinda? Tell your friends! Melinda doesn't have any reviews yet. Melinda hasn't submitted any articles.